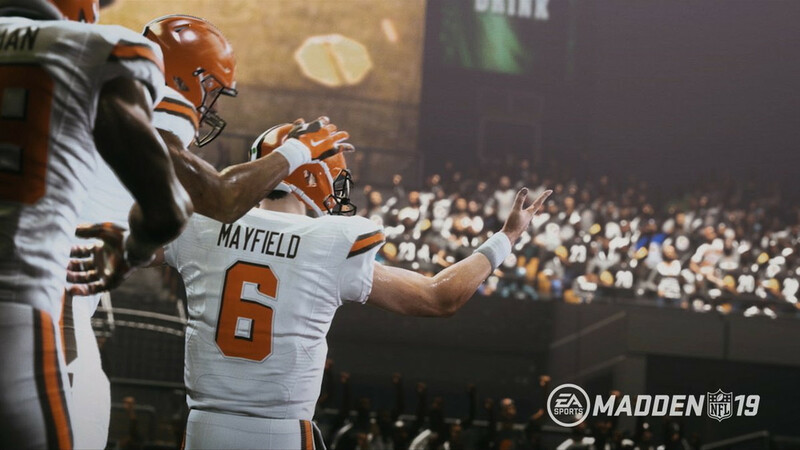 The roster update for Madden NFL 19 featuring ratings changes based on regular season performance through 12 weeks has gone live to download all systems. Aaron Rodgers, who began the season at 99 Overall, has fallen again and now sits as a 94. Other notables on the move in ratings this week include Philip Rivers (+1 to 92), Stefon Diggs (+1 to 92), Greg Olsen (-1 to 91), Russell Wilson (+1 to 90), Jamal Adams (+1 to 89), Matt Ryan (-1 to 89), Eddie Jackson (+2 to 87), Amari Cooper (+1 to 87), Golden Tate (-1 to 87), Lamar Miller (+1 to 86), Derwin James (+1 to 85), Ben Roethlisberger (-1 to 85), Matt Breida (+2 to 84), Baker Mayfield (+1 to 83), Jordan Howard (-3 to 81), and Reuben Foster (-6 to 79).